After our adventure to the Walmart in Schererville last week we were lucky enough to have good weather the following day, Monday, so we took the bicycles out, again, for another midnight cruise. 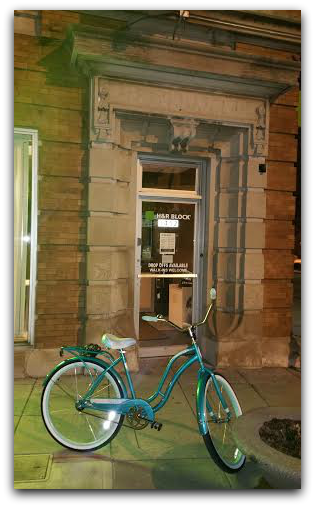 This time we loaded the bicycles into the truck and drove out to Lansing, IL, parked the truck in an empty store parking lot and cruised the main drag of downtown Lansing. It's such a pretty little downtown! We also veered off the path a little bit into a neighborhood so I could take pictures of the library. The weather this week hasn't been quite so perfect for riding but hopefully that changes. 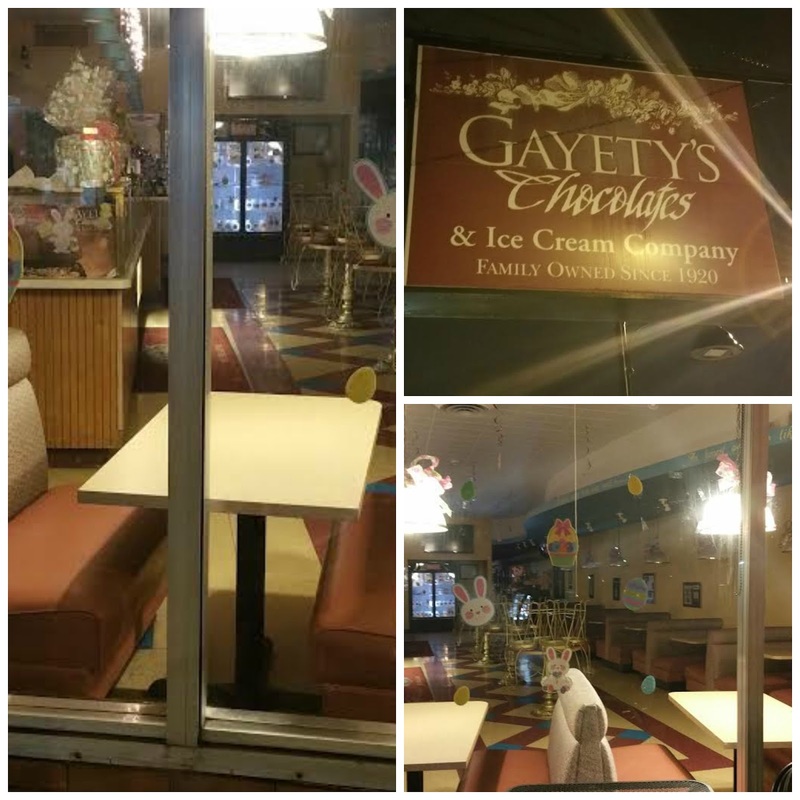 I thought this ice cream store was too cute! It's still original on the inside with cute girly tables and chairs in addition to the booths. I told James we have to come back to this location during operating hours for ice cream and just because! He said they have the best malts! I had to get a picture of the library due to my love of libraries, especially ones with 60's style of nice clean lines. The whole building is beautiful. As we rode back down the main drag I was surprised to see this church cemetery in the middle of downtown and more surprised that I missed it the first time! The architecture on this doorway was stunning. James said it was a bank a long time ago but it's now an H&R Block. Sadly, the former name that was at the top of the doorway has been chiseled out. My last picture on the ride back to the parking lot. 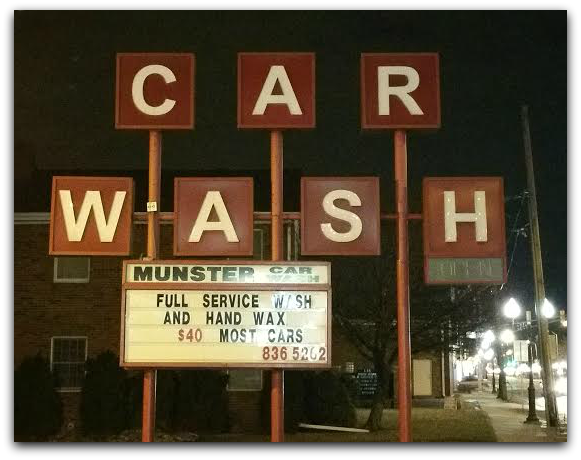 I know it's just a car wash sign but it's retro! Almost everything about Lansing is retro which is a pleasant change. Maybe we'll get another midnight cruise in this week!